Despite the prospect of paying two college tuitions for the next several years, I am still indulging a constant case of upgraditis. To that end, I have been focused on my power source and have read up on a multitude of integrated amps. Last night I went to the local dealer for Focal speakers to hear what they recommend. I listened through a higher model speaker ( 1028BE) than I own and a couple of $10k plus integrated amps including an Ayre AX5/20 and a Luxman 30w class A amp. So it sounded great. But I was listening to $20k worth of equipment, so it should sound great. However, I went home and and listened to my modest setup ( see below), and truthfully, I did not hear a major difference. I know that there is a law of diminishing returns at work, but I paid less than 1/10th of this ( albiet gently used). Perhaps my hearing has diminished to the point that these distinctions are lost on me. Still grappling with upgraditis though as I am easily distracted by shiny things. For a start I never found it really useful to listen to equipment in a dealer's showroom, although it can be useful compare, say, component 'A' with component 'B' in the same setup there. But the only real test is in your own listening room. A while back I listened at a local dealer's to some Monitor Gold towers, ($5000+), with Simaudio electronics; I found that setup not nearly as good as what I have at home. Rather than listening at dealer's I have found it more useful to read multiple reviews and glean from them common observations that seem relevant to my needs and preferences. As for hearing, I know that I am stone deaf above 10 kHz which probably means I'm not a reliable judge of ultimate quality above that cut-off. Nevertheless I can have pretty subtle differences such that I can pretty easily determine distinguishing characteristics of amps, (for example). My first guess would be that the room you were in was not properly setup and contained other sets of speakers??? Did you take your own music that you knew intimately so you could notice subtle effects? I have heard mega buck setups that underwhelmed me. I no longer have a car with a Cassette Player, but my old cure for Upgrade-itis was to take a drive in the car and play a crappy cassette. Once I got home again, my earlier modest system sounded great again. Your Marantz and Focals are no slouch so I would expect decent sound, but wonder if your Focals suffer from what most older JM Labs-Focal speakers suffered from.....Deep Bass but great mids and highs. I still have an older pair of JM Labs Tantal 509s that are fast, acurate, have great soundstage and imaging but just lack deep bass and many JMs even some of the big boys had the same characteristics. 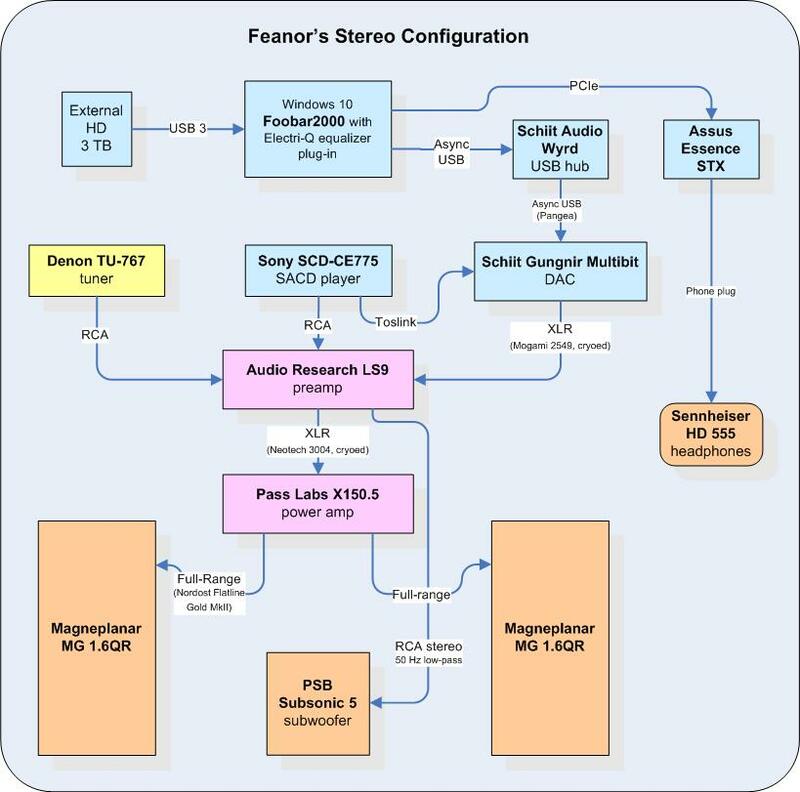 Feanor - I do agree with you and was tempted to take home one of these integrateds "on loan" for the weekend to see if their was a material difference in sound. Still a possibility, but plan to do more reading online before I exercise the dealer that way. Hyfi - the room was a dedicated listening room and they were the only two speakers present. I had called ahead to tell them what I was looking for and they set it up for my visit. The music was theirs, but stuff I owned - mostly typical hifi demo stuff ( Roger Waters amused to Death, Patricia Barber, etc.). I love your idea of the old cassette. My other hobby is high performance driving, and I run an old (and rather loud) BMW M3. It still has the cassette player, but I have not used it in ages, as it also has a cd changer that I crank before every time on the starting grid. Nothing like a little ZZ Top or Joe Walsh to get the red mist flowing. Of course upgraditis has nothing to do with meeting needs, just wants. At this point in life, I am clear on the difference ... although Sofia Vergara can still cloud my thinking in that regard. Agree with every thing that was said. You really need to hear things in your system. What you can get with upgrades are more resolution (not always a good thing depending upon the music that you listen to) more air and transparency with more depth and better dynamics. Bass slam and percussion will be better as will separation between instruments. I saw this in going from my Parasound A21 amp, AVA preamp to my Pass amp, BAT preamp and Luxman DAC. The differences were not subtle. Auditioning equipment is very difficult. The last speakers I auditioned were in an audio room much larger than mine and using unfamiliar electronics and cables. There were aspects of the sound I liked but I heard a warm bass and midrange with a light and somewhat bright upper mids and highs. To my ears the drivers did not seem to blend seamlessly. Years ago I was at an audio dealer and heard the Wilson Watts on the Puppies and was not impressed. At the time I thought they were lacking some tonal color. The system was not lacking but at the time my inexpensive system was adding colorations and low level noise. As I upgraded and tweaked much of the colorations were gone as well as the electronic hash of the lesser system. To this day I still have to listen to speakers many times before deciding. Which is why I still have the speakers I do because there is not an easy way to travel to listen to speakers. In addition, there's your taste, there is very expensive equipment I've heard whose presentation just don't appeal to me. So maybe look at other brands. The room is an important variable as well. My friend had Salons that always sounded great, another friend got a pair, he is in a house with a subfloor and a lot of reflection, let's just say not the best representation of the speakers.